1. User configures the app by entering Freshdesk API key, Subdomain, Google credentials etc. 2. 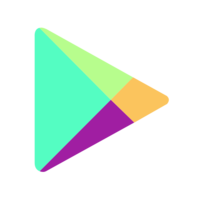 User adds the Playstore app for fetching the reviews. 3. User sets time interval for fetching the reviews and enables the app. 4. 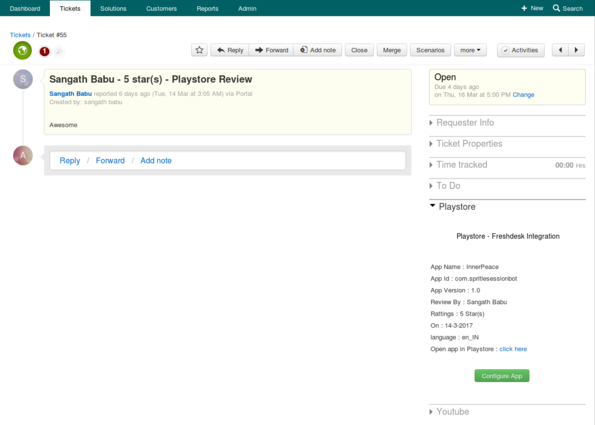 For every user defined time interval reviews are fetched and tickets are created. 5. User can reply to the review by adding a reply in Freshdesk. 1. Go to Admin → Apps → Get More Apps → Playstore - Freshdesk. 3. Once the installation is complete, goto  any ticket page.